We hope our Women in Engineering podcast series inspired you! Engineering is a field that will take you to many places; space, across the country, and behind “mahogany desks.” To get involved or support in the engineering field, consider be a part of one of these organizations. 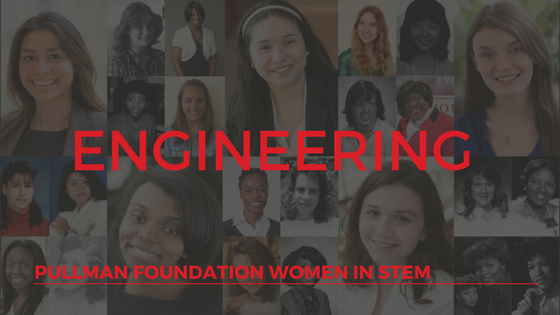 The EngineerGirl website, provided by the National Academy of Engineering (NAE), brings national attention to the exciting opportunities that engineering represents for girls and women. You can “meet” real-life female engineers and read their profiles, learn about clubs and programs, compete in contests, apply for scholarships, ask engineers questions and more! SWE started in 1950 (just like us!) and is a global organization with more than 30,000 members. They offer an annual conference, awards, scholarships, and a great learning center on their website full of ebooks, podcasts, and more! IEEE is the trusted “voice” for engineering, computing, and technology information around the globe. If you know of any other organizations worth mentioning, please let us know! The Freedom to Follow Your Passion: Meet Pullman Scholar Dejah Powell, Cornell University ‘18.